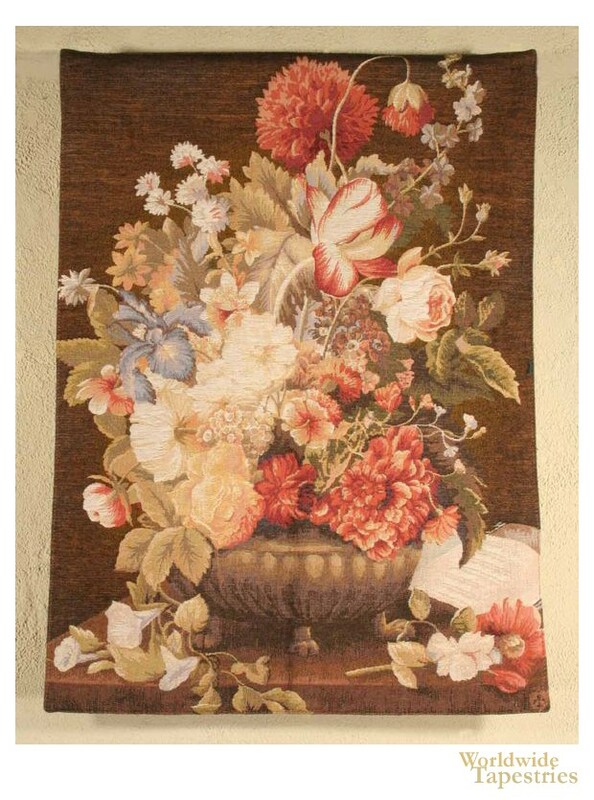 This piece "Floral Cluster Brown" shows a French floral bouquet. On a brown background the blooms of roses, tulips and peonies are arranged in an urn. The subject of flowers have been a favorite of French artists for centuries and here we see a generous bloom with some flowers falling onto the table below. This tapestry "Floral Cluster Beige" is backed with a lining and has a tunnel for easy hanging.